Three Ormesby Players who travelled to Wellingborough to play for the Durham County Junior team, had a very good weekend. The team finished in 4th position in their League and may have been even higher has Josh Weatherby been well enough to play. Unfortunately Josh had to pull out Friday night. Tom Rayner did exceptionally well winning 14 games out of 14. Closing date for entry is Thursday 20 December. 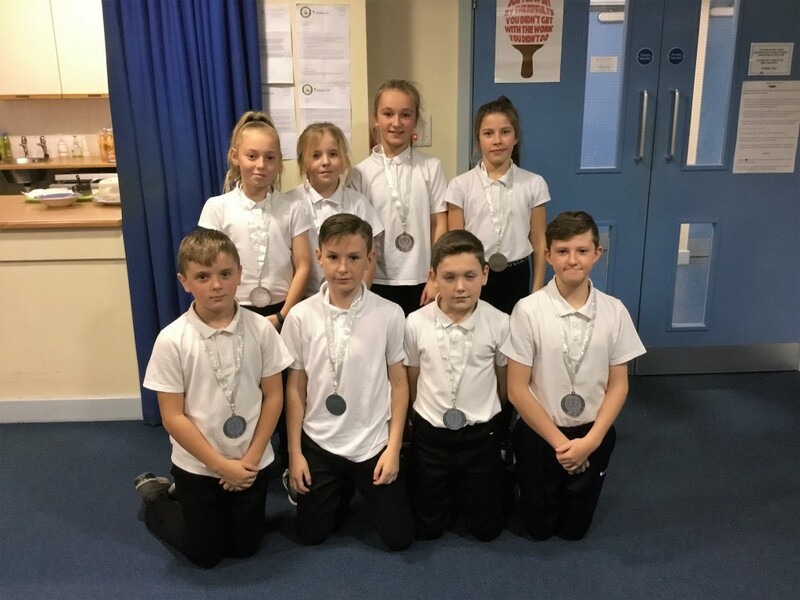 Ninety six children took part in the Middlesbrough Primary Schools Table Tennis Team competition at Ormesby Table Tennis Club on Friday 7 December. Andrew Oliver, who does a wonderful job organising the event, and with the help of the teachers from each of the Primary Schools, it all adds up to a really great day of table tennis for the children. 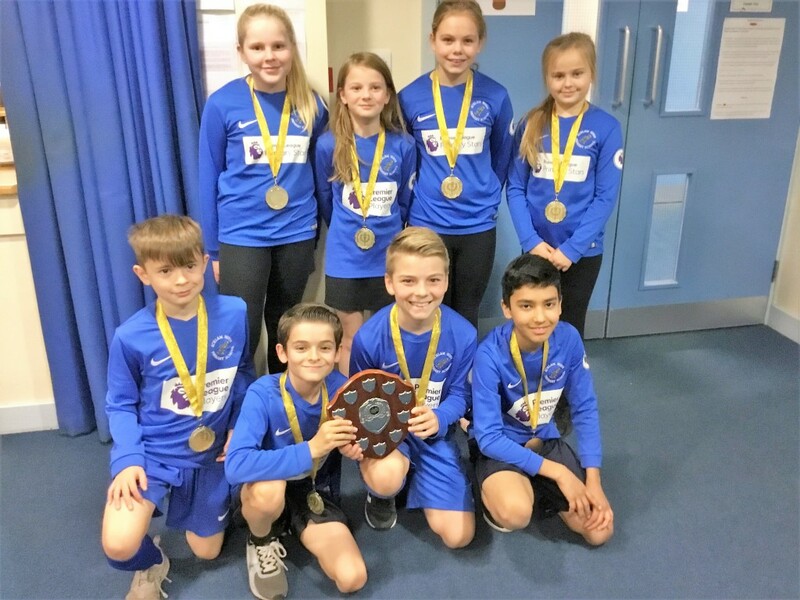 After several rounds of matches it came down to the final where the 8 players from Acklam Whin Primary School beat the team from Pallister Park. Primary. Ormesby Captain, Danny Reed, was the star of the victory over London’s Fusion Club. 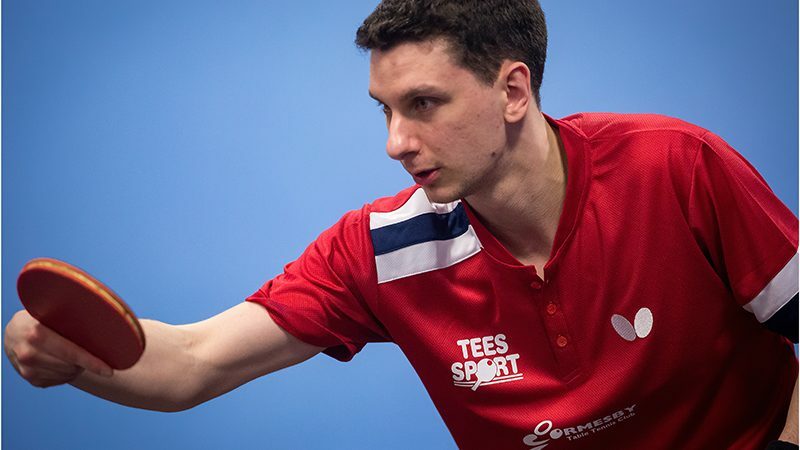 Ormesby with a 4-1 win over Fusion in London on Saturday have risen to second position in the Premier Division of the British Table Tennis League. Danny Reed was the star of the Ormesby team winning both his singles with victories over Fusion’s Number 1, Joseph Hee, from Singapore and Veterans’ Champion Lorestas Trumpauskas. The victory against Hee was by 3-2 with Reed winning the deciding game by 11-4. Trumpauskas was beaten in straight games. The match opened with a doubles win with Darius Knight and Liam McTiernan who beat Trumpauskas and James Smith 11-8 in the deciding game. Knight put the Ormesby team 3-0 up with victory over England Junior Number 2, James Smith, by 3-1. Fusion’s only win was when Joseph Hee beat Liam McTiernan in straight games. Ormesby rivals at the top of the table, Urban, visited the Ormeau Club in Northern Ireland and won by 3-2 whilst the team in third place, Drumchapel, beat Cardiff by 4-1. Urban lead the table with 14 points from their 4 matches. Ormesby are in second position with 13 while Drumchapel and Ormeau have 12 each. Ormesby’s next match is on Sunday 13th January at home against North Ayrshire. 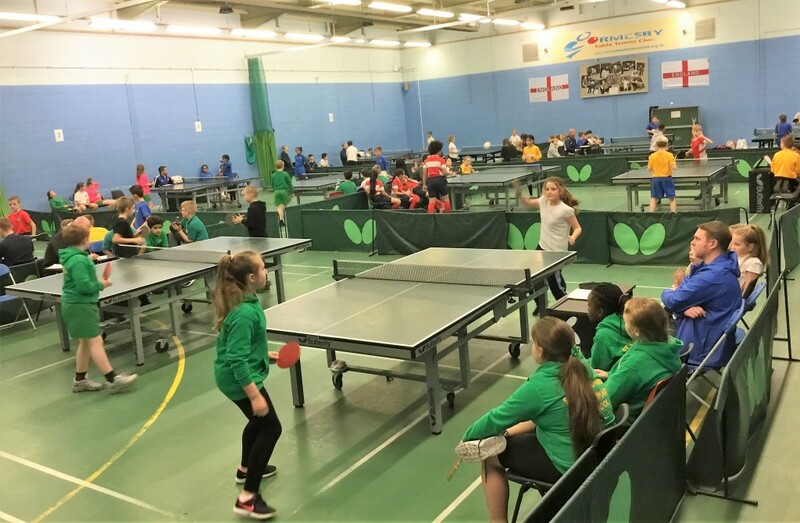 Ormesby teams produced some of their best results in recent seasons in the Junior British League Table Tennis Tournament that took place in Derby last weekend. In the Premier Division of the Boys Section, Ormesby A won three of their five matches, drew one and lost one and are currently at 4th place in the league table but just one point behind the leaders Fusion of London. On Saturday Ormesby beat Grantham College 5-1, Dublin 4-2, BATTS Harlow 5-3, then lost to Fusion 4-2. In their final match they drew 3-3 with the Table Tennis Daily Team from Bristol. The best results was scored by Joe Cope who won eight of his ten matches, while Josh Weatherby won four from ten, David Gofton won four from six whilst Thomas Rayner won one from two. Ormesby have two more fixtures to play in the first half of the season and these are against two of the weaker teams in the Division; Draycott from Derby and Sycamore from Nottingham, whilst the teams around them at the top of the Division have a much harder run in to the end of the first half. Ormesby Second Team, Division 2A, won all their five matches beating St. Mary’s of Hull 5-1, Lillington 6-0, Cardiff 4-2, Greenhouse of London 5-1 and Sussex Blades 6-0. Thomas Rayner and Ben Piggott both seven from eight, whilst Adam Webster won eight from ten and Zaid Khalid won all four of his matches. Ormesby Third Team playing in Division 3A are in second position in the table having won three of their matches, drawn one and lost one. Luke Robinson won six from eight, Ben Savage won five from ten, Chris Edwards four from eight and Zaid Khalid four from four. The Ormesby Girls Team playing in the First Division for the first time did very well to finish in third position at the end of the weekend having won two, lost two and drawn one match. The girls beat Fusion of London 5-1, Ashford from Heathrow 4-2, lost to Cardiff 4-2, lost to Draycott of Derby 4-2 and drew with Ellenborough of North London 3-3. Rana Raseem produced the best results with seven from ten, Charlotte Weatherby six from ten, Eve Witterick two from six and Rebecca Savage one from four. The girls Second Team playing for the first time in Division 3 also finished in third position with one win, three draws and one defeat. Rebecca Savage won three from four, Katie Bates five from eight, Reem Rasseem and Lola McGhee three from eight and Eve Witterick one from two. The Ormesby A Team, which consisted of Joe Cope and Shayan Siraj, won the Under 18 Junior Boys Team event by beating London club, Fusion by 3-1. Fusion were represented by the two Hee brothers, Joseph and Ben. Despite losing the first set when Joseph Hee beat Shayan Siraj 12-10 in the decider, Ormesby went on to win the next three sets after Joe Cope had levelled the score with an 11-8 in the decider over Ben Hee. The Ormesby Cadet Boys Team of Thomas Rayner and Ben Piggott were comfortable winners of their team event beating the St. Mary’s Team from Hull in the Final 3-0. Rayner opened up with three straight wins of Ehsan Jawadi and Piggott beat Che Golbourne by 3-1. The Ormesby pair then clinched the doubles. In the Girls Team event, the Ormesby A Team reached the Final of the Cadet competition by beating the Halton Team from Merseyside by 3-0 in the Semi Final, after Eve Witterick had beaten Niamh Scarborough 11-6 in the decider and Rebecca Savage had won against Ruby Bennett by 3-1 before winning the doubles. Ormesby lost to the Derby team, Draycott 3-0 in the Final. The Junior Boys Singles was won by Shayan Siraj of Yorkshire who won a very narrow Final against Joseph Hee from Kent by 11-9 in the decider. Ormesby’s Josh Weatherby, reached the Semi Final before losing to Hee 3-1. 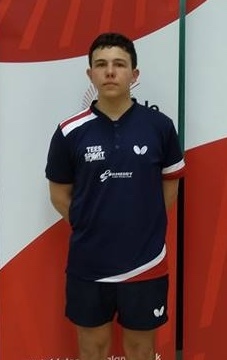 Joe Cope of Cleveland reached the Quarter Final but lost a very narrow match against Northampton defender Sam Wilson after not taking advantage of a number of match points. 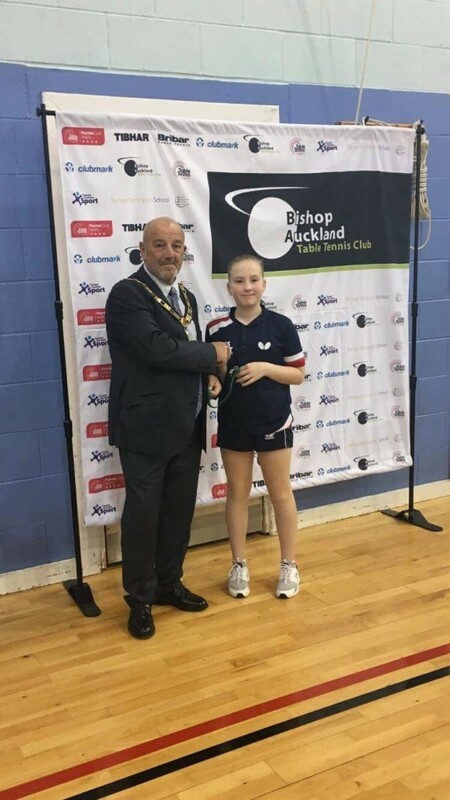 Junior Girls Singles was won by top seed Jasmin Wong of Yorkshire, who beat 13 year old Portuguese player, Raquel Sao Pedro by 3-1 in the Final. Pedro beat Tiana Dennison in 3-1 in the Semi’s and another English player, Ruby Chan from Yorkshire in a very narrow Quarter Final in five games. 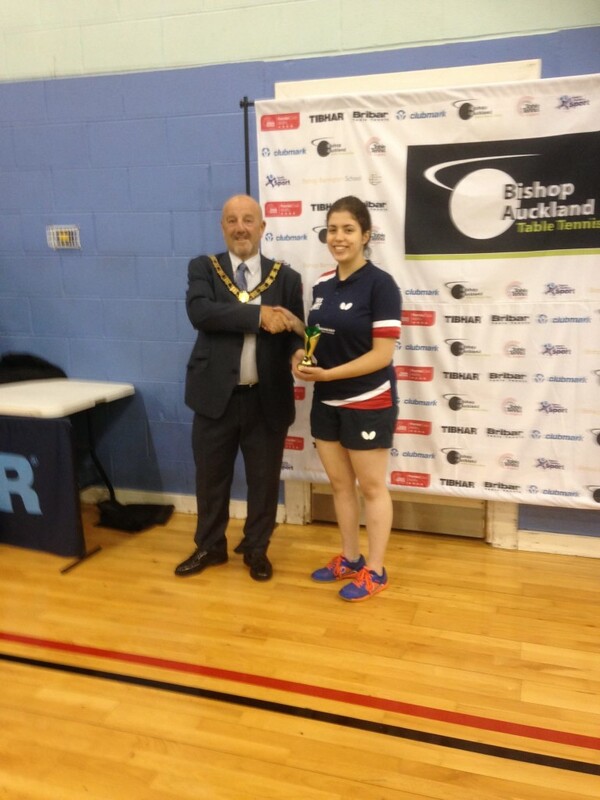 The Cadets Girls Singles was won by Ruby Chan who beat Millie Rogove from Hertfordshire 3-1 in the Final. She had a tough match against the Junior Girls Singles runner up, Raquel Sao Pedro before 14-12 in the decider in the Semi. The Under 13 events were won by brother and sister pair of Connor and Anna Green from Nottinghamshire. 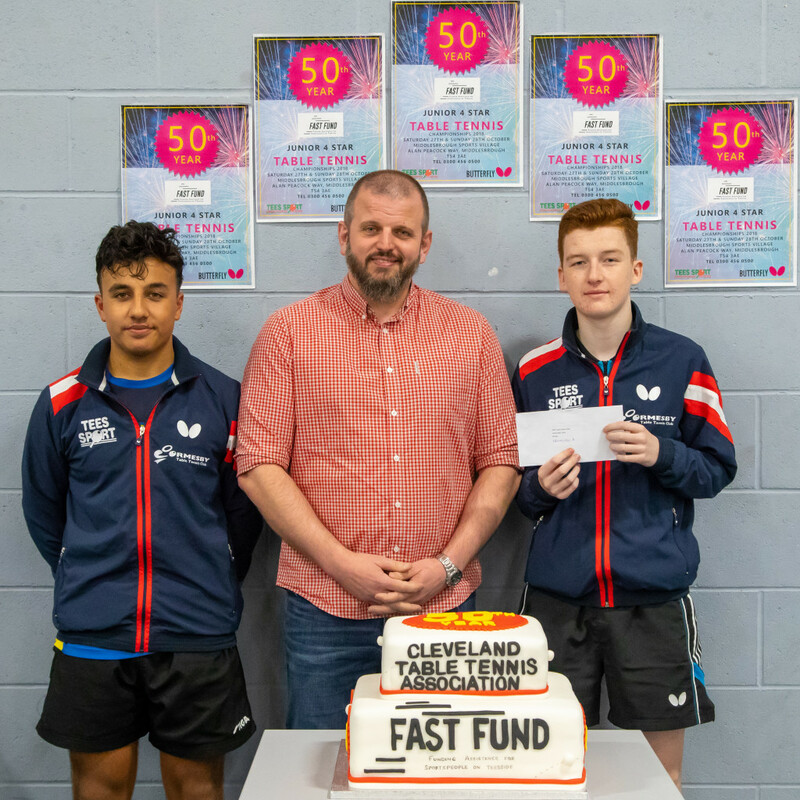 The prizes were presented by David Roebuck, who is a Patron of the Middlesbrough and Teesside Philanthropic Foundation, the FAST Fund, who were the sponsors of the event, along with Cleveland Chairman, Colin Davison and President, Alan Ransome. The centre of attraction at the presentation ceremony was a special cake which was provided to celebrate the 50th year of the Championship. At the end of the presentations the cake was cut by David Roebuck. All of the competitors, parents, coaches and officials who were present were able to join the Association sharing a piece of the delicious cake. 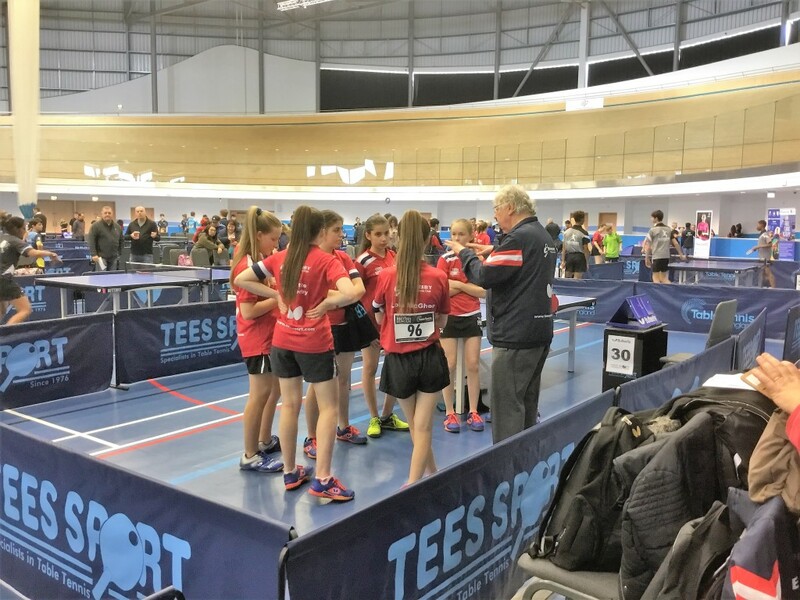 Several Teesside players have the opportunity of medal places in one of Britain’s leading youth table tennis Championships, The FAST Fund Junior 4 Star Open, which is taking place at Middlesbrough Sports Village this weekend. 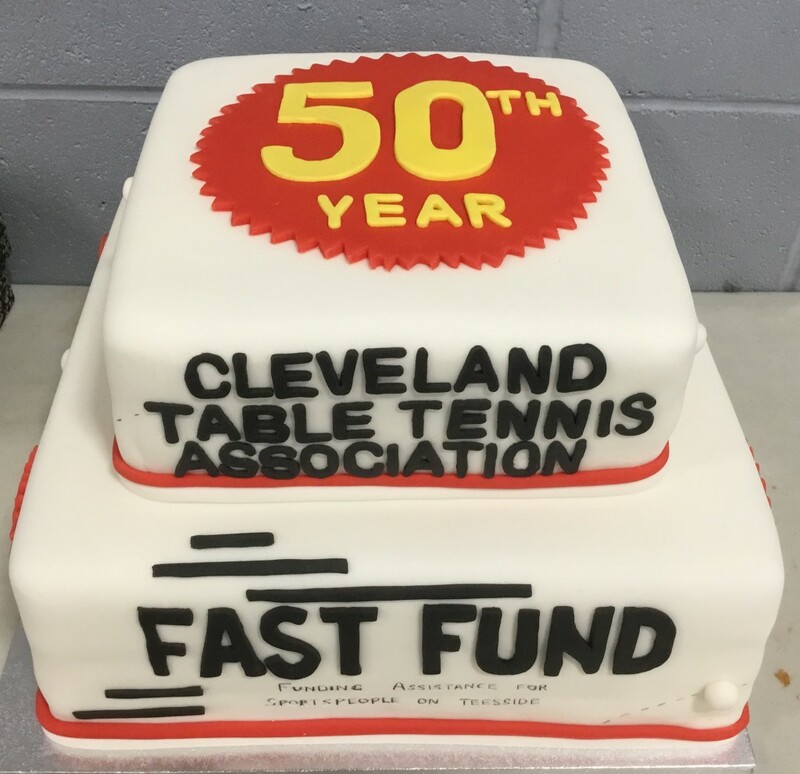 The Cleveland Table Tennis Association are celebrating the 50th year of this Tournament. The first tournament was played at Stockton Sports Centre in 1968. The competition is supported by The FAST Fund which is part of the charitable movement of Teesside Philanthropic Foundation. 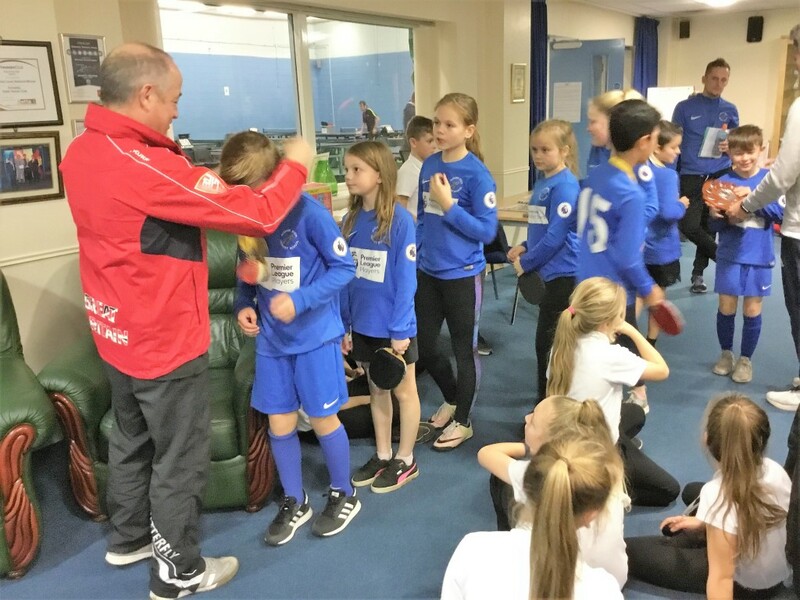 The FAST Fund provides financial support to Teesside’s talented young sportspeople. The Championship is also supported by Middlesbrough Borough Council and The Sports Village. In the Cadet Boys Singles (Under 15), Ormesby’s Thomas Rayner and Ben Piggott are seeded 3rd and 4th with Louis Price from Avon and Rhys Davies from Lancashire in the top two positions. 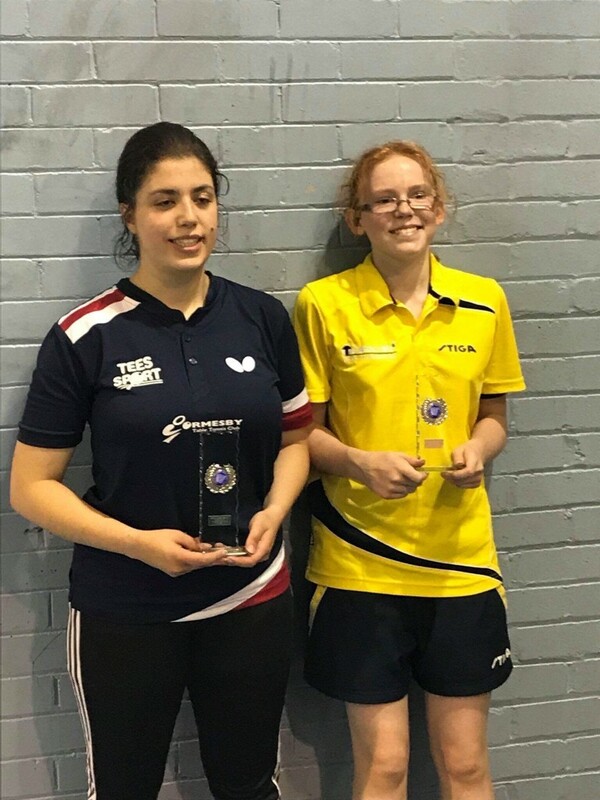 In the Girl’s events, the highest Ormesby seeded player is Katie Bates who is in equal 3rd position in the Under 13 Girls Singles. 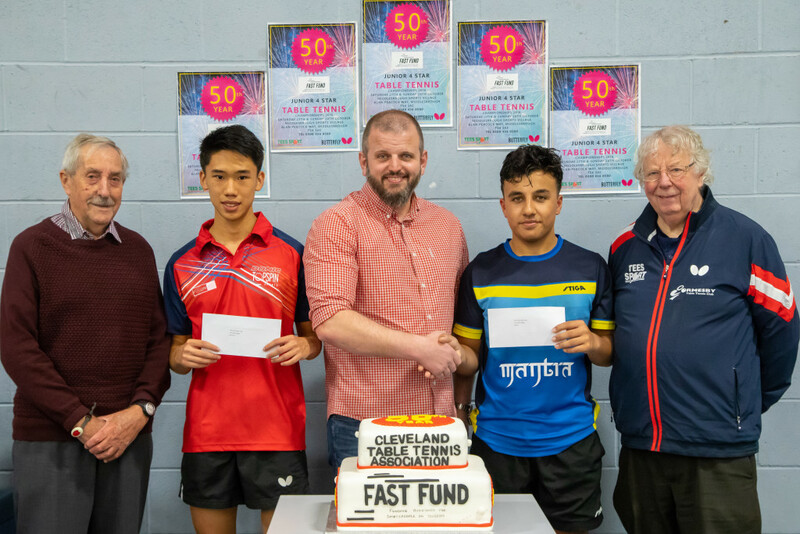 Play in the FAST Fund 4 Star Tournament concentrates on the Team Events on Saturday where Ormesby A and B Teams are amongst the four seeds in the Junior Boys Event and the Ormesby U15 Boys Team are the top seeds in the Cadet Event. 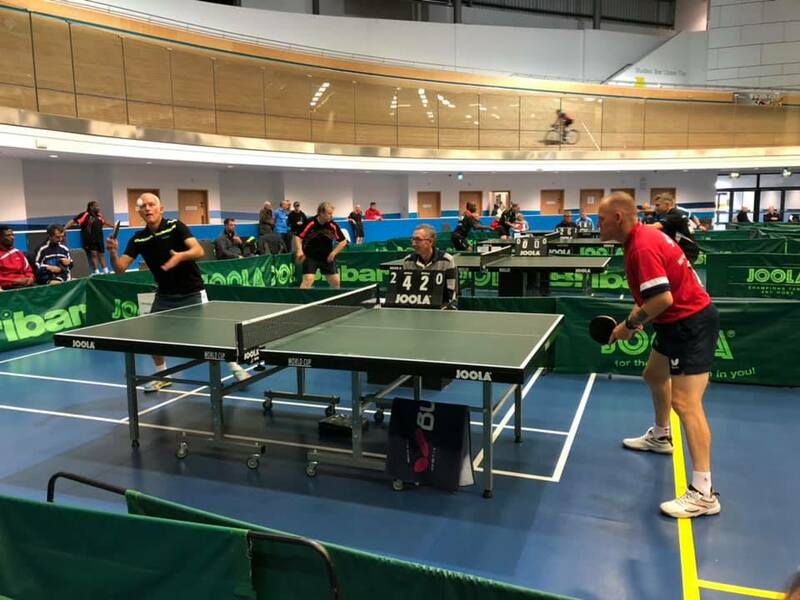 Ormesby continued their winning run of the Premier Division of the British League Table Tennis League when they visited and defeated the former Champions Scotland’s leading club, Drumchapel of Glasgow, by 3-2 on Saturday. For Ormesby, Daniel Reed won both his sets beating Dylan Curry in five games in the singles and winning his doubles with Helshan Weerasinghe. 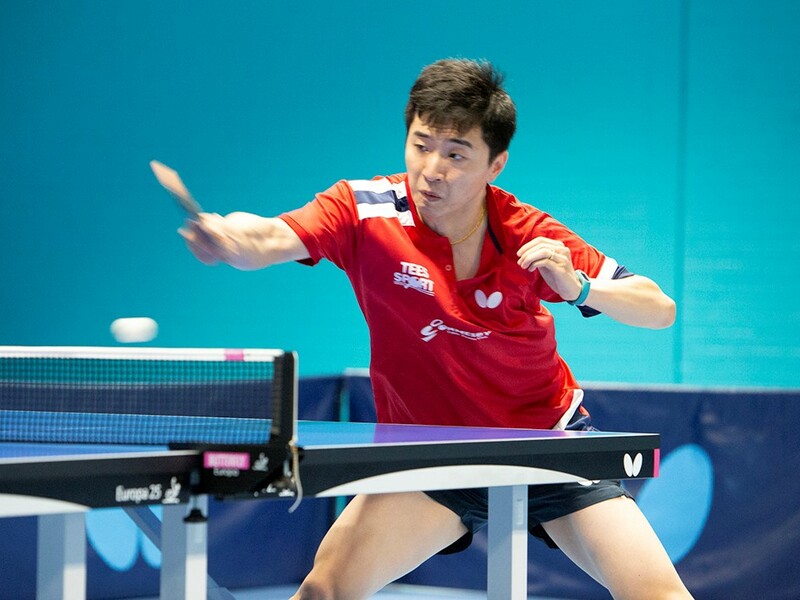 Ormesby’s third victory was scored by their Number 1 player Tianming Zhao, who defeated the Chinese player representing Drumchapel Tang Yao in straight games. For Drumchapel, English International David McBeath won both his sets beating Tianming Zhao 3-1 and Helshan Weerasinghe in straight games. After two matches this puts Ormesby in 4th position in the table. Although the Teesside club have won both their matches, but the scoreline was only by 3-2 so having only 6 points in the League Table. This means Ormesby trail the current Champions, Urban, and the Northern Ireland team, Ormeau, by 2 points. Ormesby are level with Drumchapel but Drumchapel have a slightly better games average. Ormesby’s next match is on the 3rd November when they entertain the team in second position, Ormeau, from Northern Ireland at the Ormesby Club. 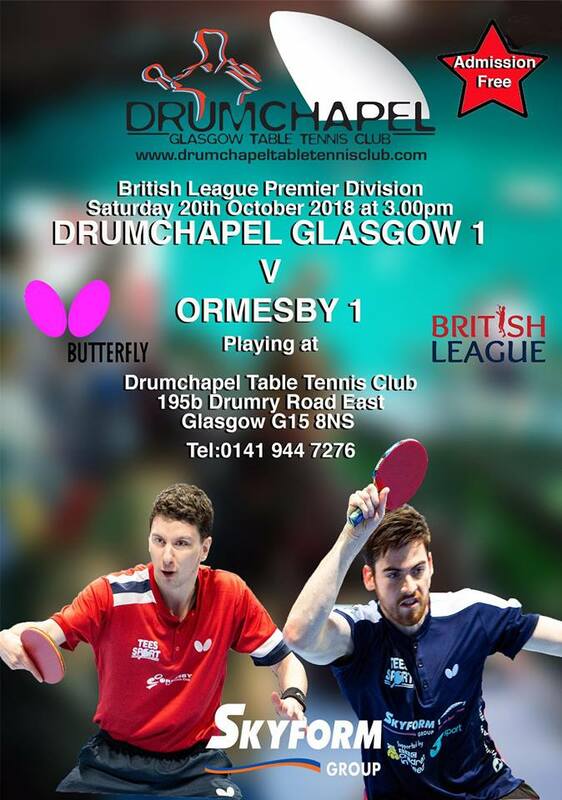 Ormesby first team play their second match of the season in the Premier Division British Table Tennis League when they visit Drumchapel, Glasgow the former champions in Scotland on Saturday. Ormesby are fielding a very strong team for this fixture, with their Number 1 player Zhao Tianming, from Portugal, supported by English No. 8 Helshan Weerasinghe and Captain, Daniel Reed, England No. 10. Ormesby opened their fixtures with a 3-2 victory over Cardiff which puts them only in 4th position in the table with Drumchapel, who beat North Ayrshire in the first match by 4-1, in second place. The matches between Ormesby and Drumchapel have always been very tight with the fixture in Glasgow last year and being won by Ormesby at 6-2. The Drumchapel team includes David McBeath, the England No 4. Top of the table is the Urban team who won the title last year, having won their match against the BATTS team from Essex 5-0. Urban visit Cardiff on Saturday. 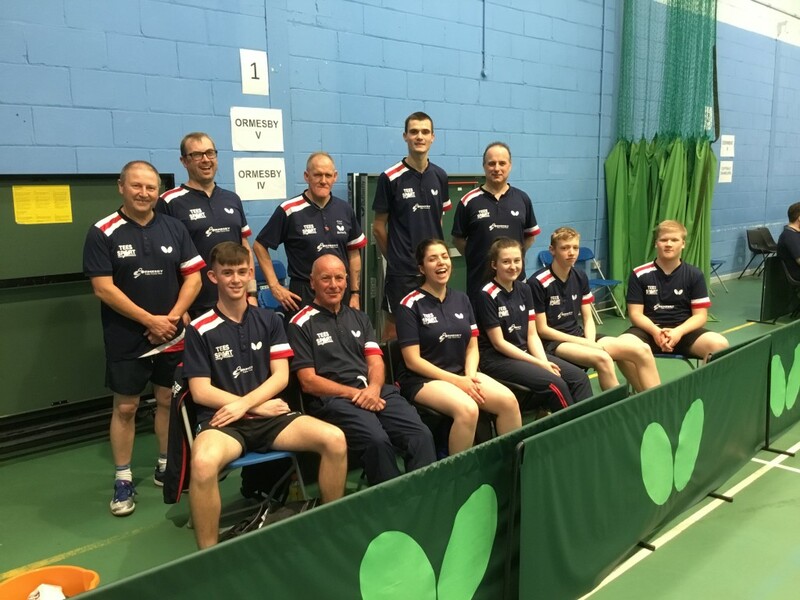 The Ormesby II team bid to maintain their position in the Championship Division of the British Table Tennis League, received a boost in Corby last weekend when the team won two of their four fixtures. 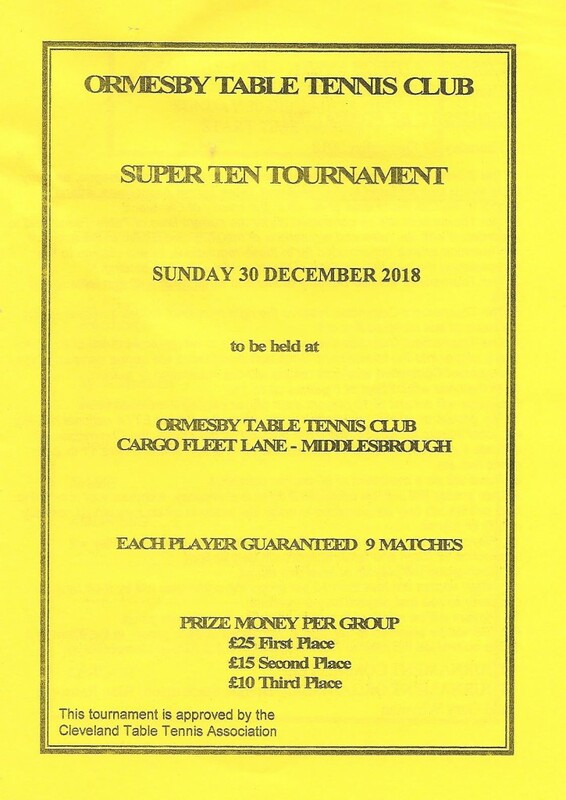 Joe Cope and David Gofton were the stars of the Ormesby team, both winning 5 of their 8 sets, whilst Thomas Rayner did well to win 4 and Josh Weatherby won 1. Ormesby opened with 6-2 defeat against the Wymondham team who are one of the top sides in the Division. In this match David Gofton was the star player winning both his singles. Ormesby second match was against another of the top teams Nottingham Sycamore I. This match was much closer as Sycamore won 5-3 with one win each from Gofton, Cope and Rayner. On Sunday, the team won their two big matches beating relegation rivals Reading Club, Kingfisher, by 5-3, with two wins from Cope including victory over Daniel Basterfield. Weatherby, Gofton and Rayner all won 1 each. On Sunday afternoon, Ormesby produced their best performance to date to beat mid table Horsham Blades by 5-3. In this match Cope and Rayner won two each, whilst Gofton won one. Cope had his best win of the weekend over Luke Savill. These results improve Ormesby’s position in the league table to go up to 7th place out of 10 with 9 points, 2 above Drumchapel of Glasgow, 3 above Kingfisher and 6 over Ravenscroft from Jersey. In the National Division B-1 Ormesby III team excelled to win all of their four matches and are now equal second in the league table. Ormesby beat Westfield II from Northants 6-3, Nottingham Sycamore II 6-3, Huddersfield 9-0, Halton from Merseyside 6-3. Ben Piggott, playing Number 1, and Adam Webster won 7 from 8, Joe Cope and George Hill both won 6 from 8. In Division C-3, played at Ormesby, the two Ormesby teams IV and V occupied the top two positions in the league table after very successful weekend. 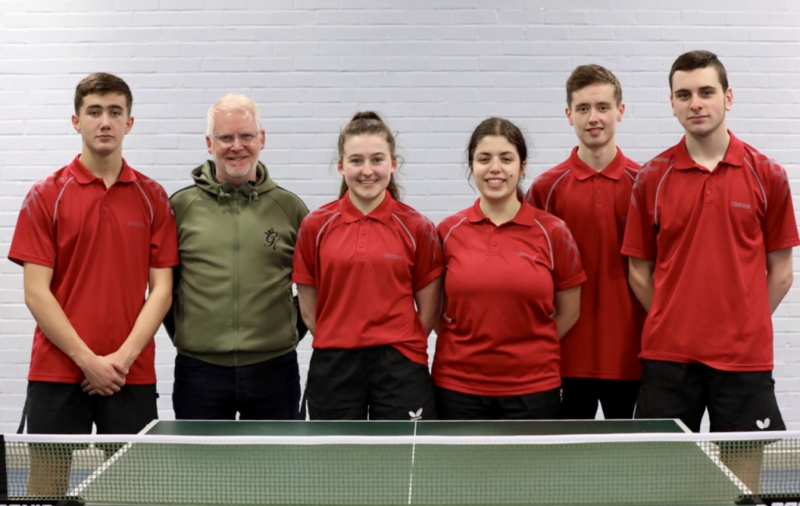 The Ormesby V team, made up entirely of Junior players, excelled to win all four of their matches, beating Derwent II from Yorkshire 5-4, the league leaders All In Table Tennis from Sheffield 5-4, North Ayrshire III 6-3 and Ormesby IV 5-4. Chris Edwards won 5 from 8, Ben Savage won 3 from 6, Luke Robinson won 4 from 6, Rana Rassem won 4 from 6, Charlotte Weatherby won 4 from 6. The Ormesby IV team beat Bishop Auckand 9-0, Cliffdale Chandlers 7-2, the league leaders All In Table Tennis 5-4, but lost their final match against Ormesby V team by 5-4. David Ashwell won 4 from 6, Carl White won 5 from 6, Michael Young won 2 from 6, Ryan Nassau won 4 from 4, Gary Whyman won 4 from 6 and Adam Ridley won 2 from 4. Ormesby IV team are top of the table on sets average. 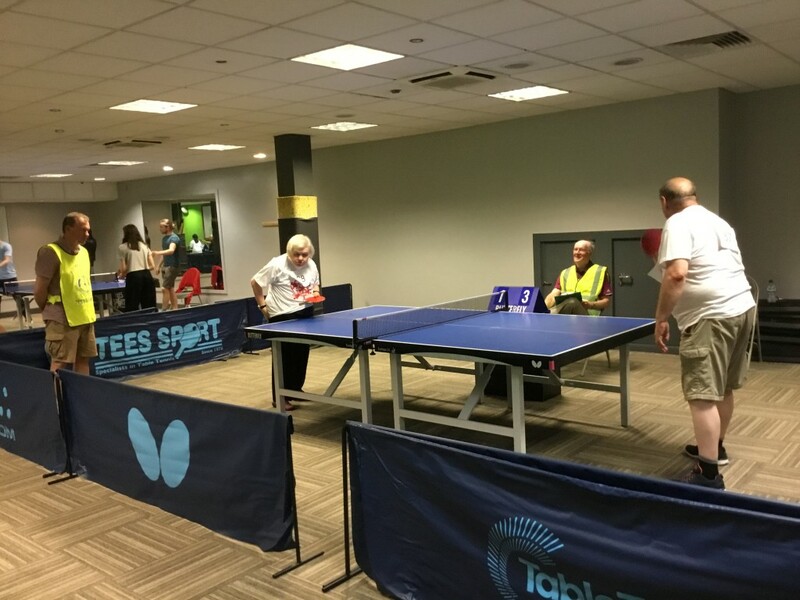 Both teams have 14 points whilst previous leaders All In Table Tennis, having lost to both Ormesby teams this weekend, are now in third place with 12 points. British Veterans League team Ormesby I ended the first weekend in joint second place in Division 3B. Having won three matches, drawn one and lost one the team now have 7 points, one point behind the current league leaders Pudsey . David Ashwell, Carl White and Jevon Chan all won 6 games from 10. In a tough Division 4A the Ormesby II team are second from bottom with 2 points. After four losses the team went on to win their 5 match of the weekend against XLNT Draycott 4 – 2. Mick Young finished the weekend with 2 wins from 8, Karl Shaw 3 from 8, Gary Whyman 2 from 8 and David Noutch 1 from 6. Well !!! these young ones can’t stand the pace these days. 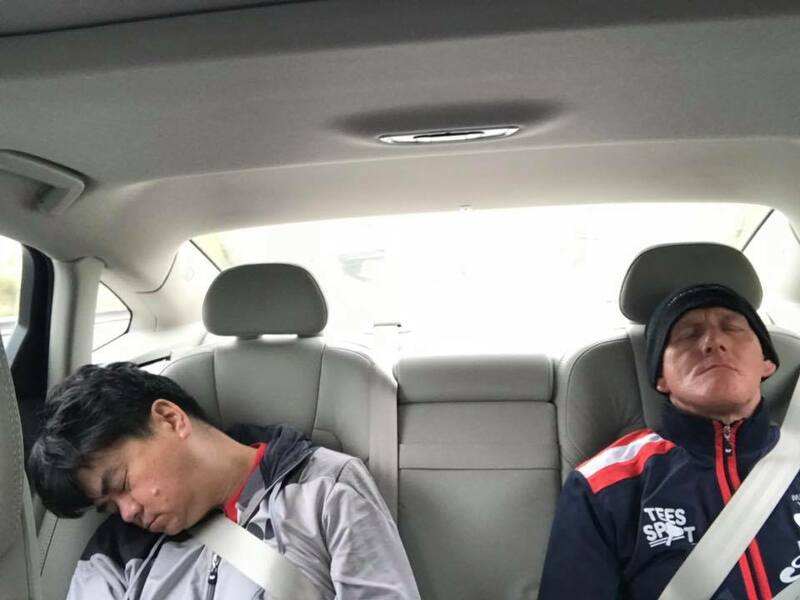 Jevon and Mick on the journey home. 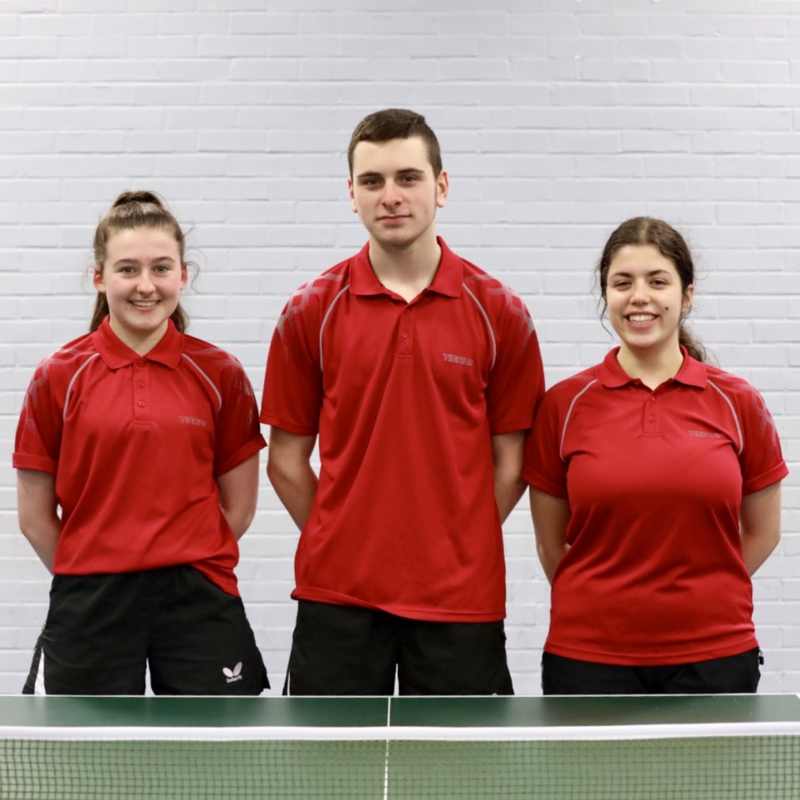 The all Junior Ormesby Second Team won one and drew one of their matches in the Championship Division of the British Table Tennis League in Corby last weekend. Ormesby’s win was against the Guernsey Club, Ravenscroft 8-0. The draw was against one of the top teams in the Division; Portsmouth. Ormesby played two matches on Saturday and lost narrowly to BATTS of Essex 5-3 and to Whitworth Academy 6-2. For Ormesby Josh Weatherby (left) and David Gofton (right) both won 5 of their 8 sets, while Thomas Rayner won 4 and Joe Cope playing at number 1, won 3. Ormesby were very close to picking up a second win when they led 4-3 against Portsmouth, before Thomas Rayner lost the last match at 11-9 in the fifth to Jacob Goss. Ormesby also came close to achieving a draw against BATTS in the opening match when Rayner had another very close defeat losing to Joe Walker by the same score. These results leave Ormesby in 8th place in a 10 team Division. At close to the half way point of the season, more good performances are going to be required in the second half to retain their position in this Division. 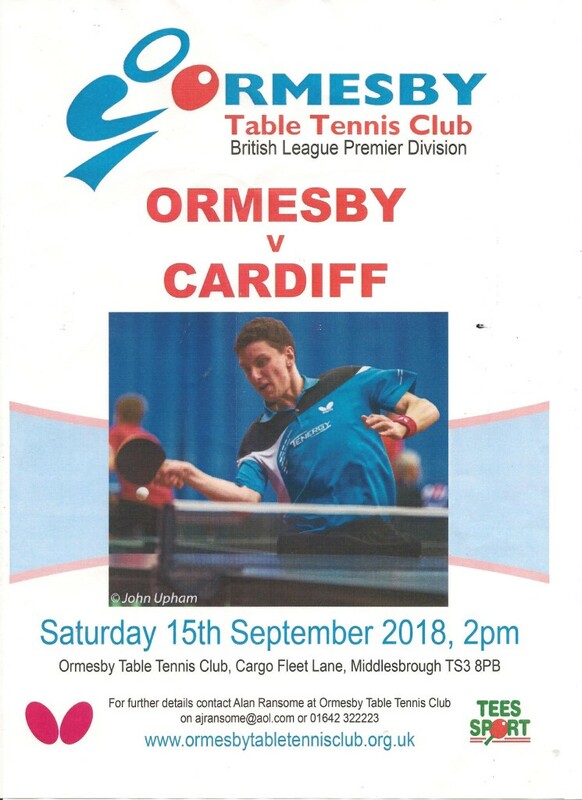 Ormesby open their fixtures of the Premier Division of the British League when they play Cardiff in their opening match of the season at home on Saturday 15th September; 2:00 pm start. Ormesby’s new signing Helshan Weerasinghe will be making his debut for the club. Helshan is one of the current England squad who participates in the major championships for his national team. Helshan is ranked at No. 8 in the Senior Listings. Helshan has played for Ormesby in the past and returns to the club for the new season. Also in the squad is Captain, England International Danny Reed, and another top English player; Darius Knight. The Ormesby Junior players who would normally be in contention for the squad selection for this match, Joe Cope and Josh Weatherby are both out of the reckoning this weekend due to Cope being in Sweden and Weatherby in the Croatian Open for the England Juniors. This brings David Gofton into contention for a squad position. 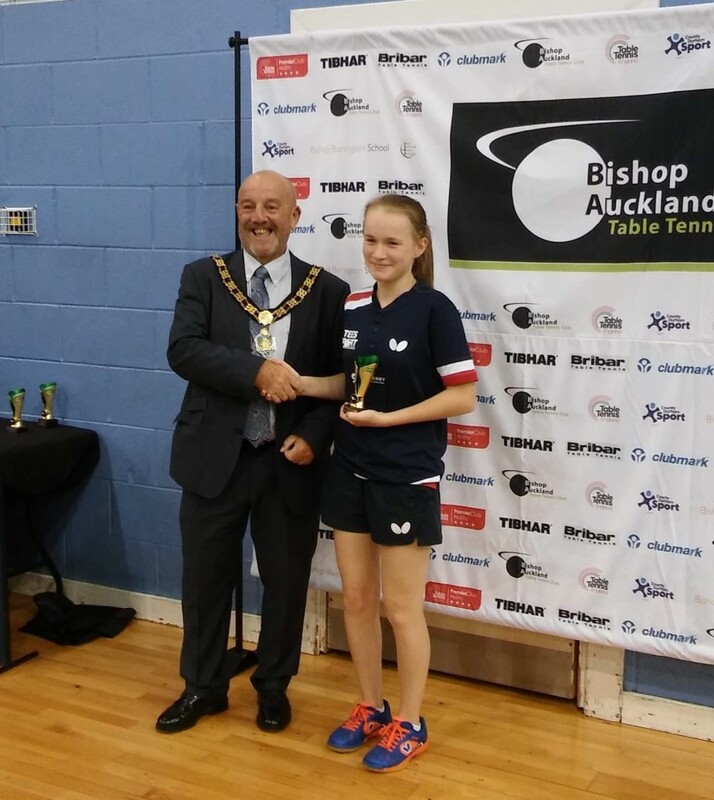 The most famous player in the Cardiff team is Anna Hursey who is one of the top young lady players being Under 12 European Champion and one of the best Under 15 players on the Continent. 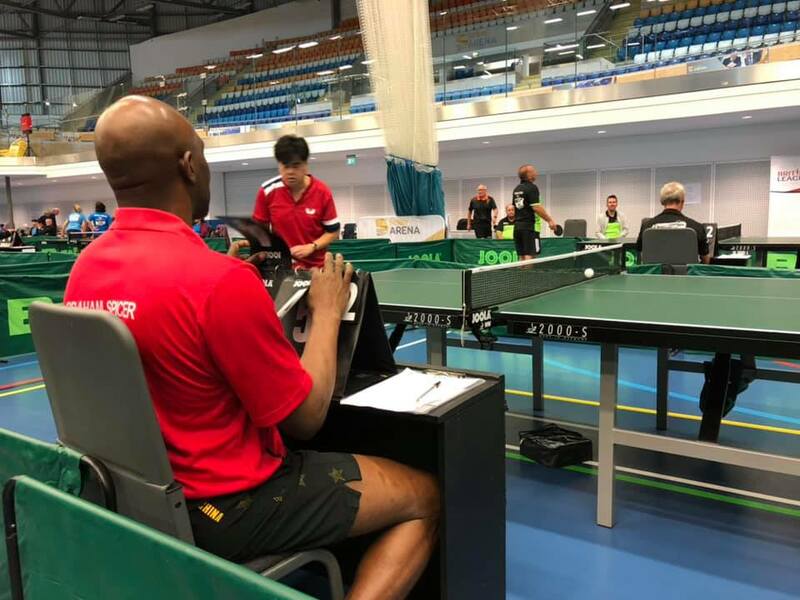 A new system is being used for the British League matches which follows the Olympic format which has four singles and one doubles played on one table. Play starts at 2:00 pm on Saturday and all spectators are welcome. 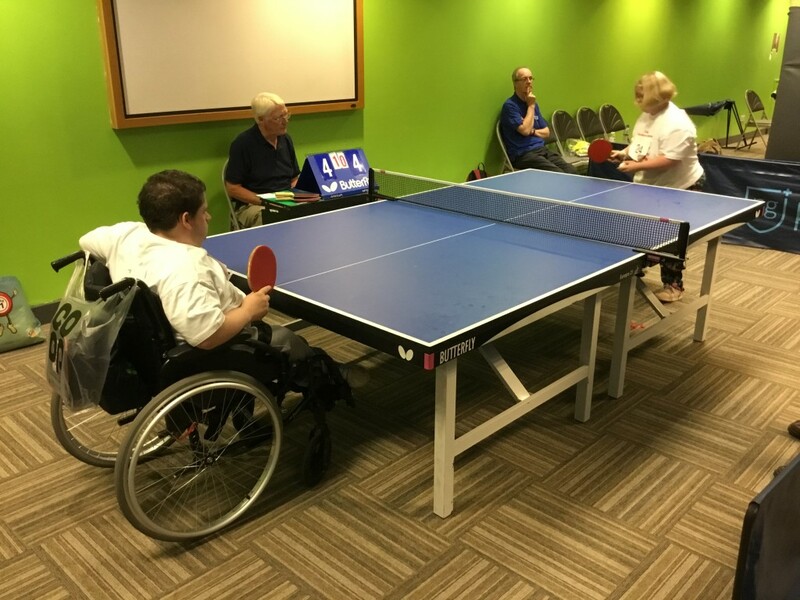 The Ormesby Teams made a good start in the first weekend of the British Table Tennis League, 8 – 9 September. 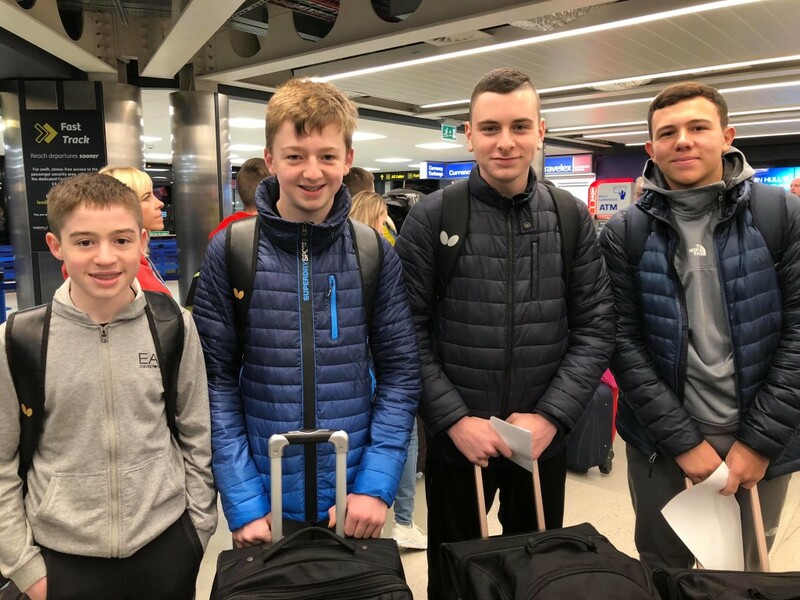 In the Championship Division, Ormesby’s second team, which is all junior players, travelled to Corby to play 4 matches, where they won 1 match against the leading Scottish club, Drumchapel and lost 3. Ormesby were without their leading two players; Joe Cope and Liam McTiernan therefore to score 1 win was a good performance. Ormesby II opened with a match against Nottingham Sycamore where they lost by 6-2, with wins from Thomas Rayner and Ben Piggott. Ormesby second match was against Kingfisher of Reading where the club lost narrowly 5-3. David Gofton, Thomas Rayner and Ben Piggott all did well to win one set each in this match. On Sunday morning Ormesby II played Horsham Blades, and were beaten 6-2 with Josh Weatherby playing at No. 1 doing well to win both his sets. In the last match of the weekend Ormesby picked up both points by beating the Scottish club Drumchapel with 2 wins from David Gofton and Ben Piggott, plus one from Thomas Rayner. Ben Piggott finished with the most wins with 4 from 8, whilst David Gofton and Tom Rayner had 3 from 8 and Josh Weatherby had 2. The Ormesby III team playing in Division B-1 also won 2 and lost 2 of their matches beating Halton II team 8-1, Orsted Grimsby 7-2, but losing to Barrow Tornadoes 6-3 and Derwent 5-4. George Hill and Adam Webster won the most matches with 6 from 8, whilst Jack Cope and Luke Robinson both won 4. This was a good weekend for Ormesby III as they are in the top half of the table where as last season they narrowly avoided relegation. In Division C-3 the clubs Ormesby IV and V teams both excelled. The IV team won all their 4 matches beating Ormesby V 5-4, Pudsey 7-2, North Ayrshire III 6-3 and Derwent also 6-3. Carl White produced the best results with 6 from 6, David Ashwell 5 from 6, Ryan Nassau 6 from 8, Michael Young 3 from 6 and Gary Whyman 2 from 6. The mainly Junior Ormesby V team also did well after losing the first fixture to the clubs IV team they went on to beat Cliffdale Chandlers 9-0, Pudsey 7-2 and Bishop Auckland 6-3. Chris Edwards produced the best result 7 from 8. Ben Savage and Charlotte Weatherby won 6 from 8, Rana Rassem 5 from 6. Ormesby IV team are equal top of the league with a maximum of 8 points and Ormesby V team are third with 6 points. 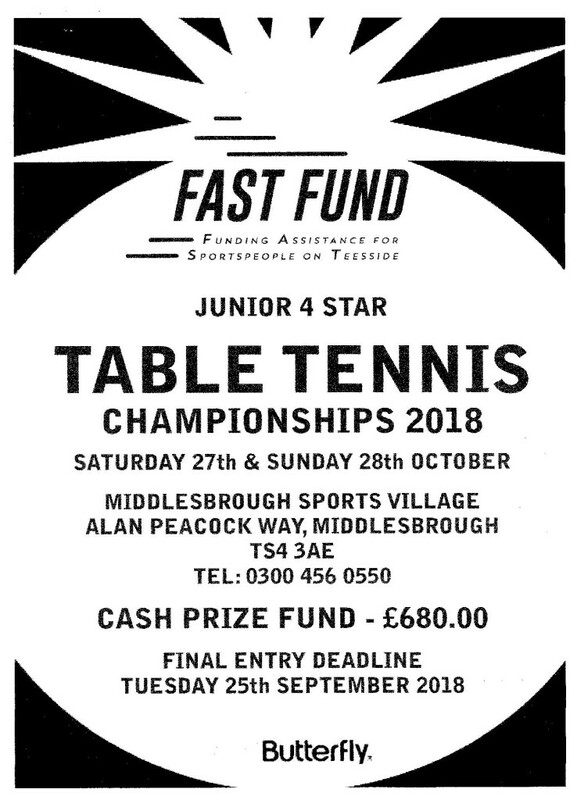 The ‘FAST FUND’ Junior 4 Star Table Tennis Championships are to be held on Saturday 27th and Sunday 28th October 2018. Please see the poster below. Entry forms can be found on the Table Tennis England website. Rana Raseem got the new 2018 – 2019 season of to a good start winning the Junior Singles at the Burton 2*. In the final Rana beat Niamh Scarborough who is on the right in the picture. Players from across the Northern Region came together on Sunday July 8 to take part in 16 different sports. It is a chance for the players to meet up with friends they see only see once a year. 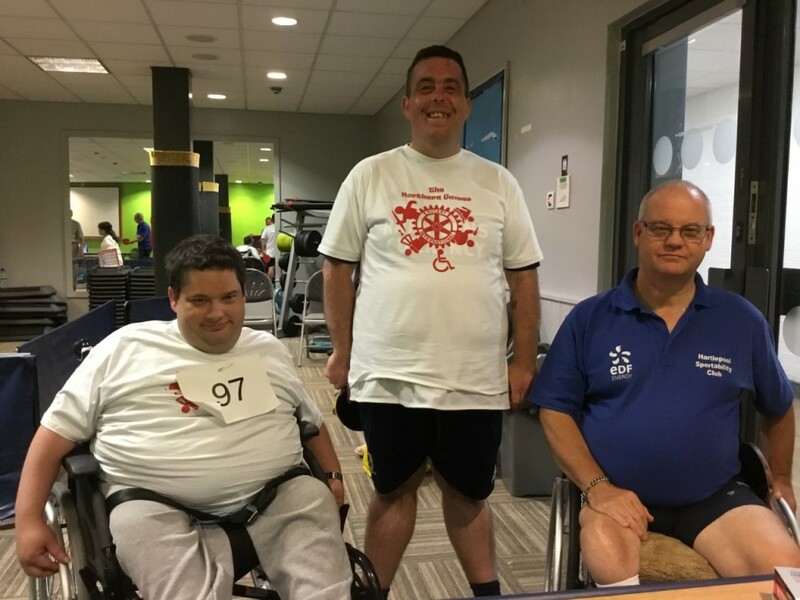 For the Ormesby Table Tennis players most had been to the games several times before but for Steven Bowden, Nikki Wyatt and Megan Reece it was their first time. Ormesby wheelchair player John Fenwick is seen playing Victoria Bowman from Darlington. The Rotary Members who turn up in their numbers to score the matches and help the players are always so very helpful. 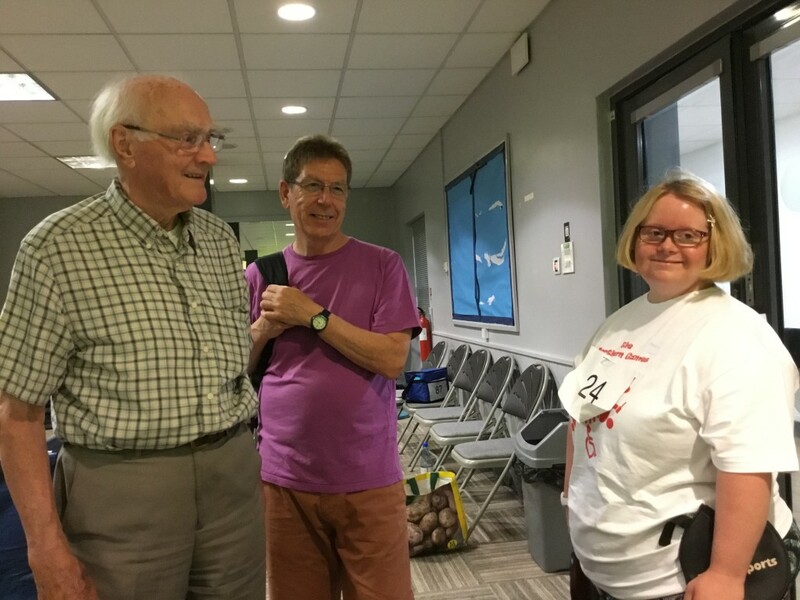 Alec Wright from the Teesside West Rotary Club has been helping at the North Games for many years and Derek Bowman who plays in the Darlington Table Tennis League with his daughter Victoria. Ormesby player Susan Fleet who won the ‘Special Achievement’ award is seen playing Steven Greenwell. 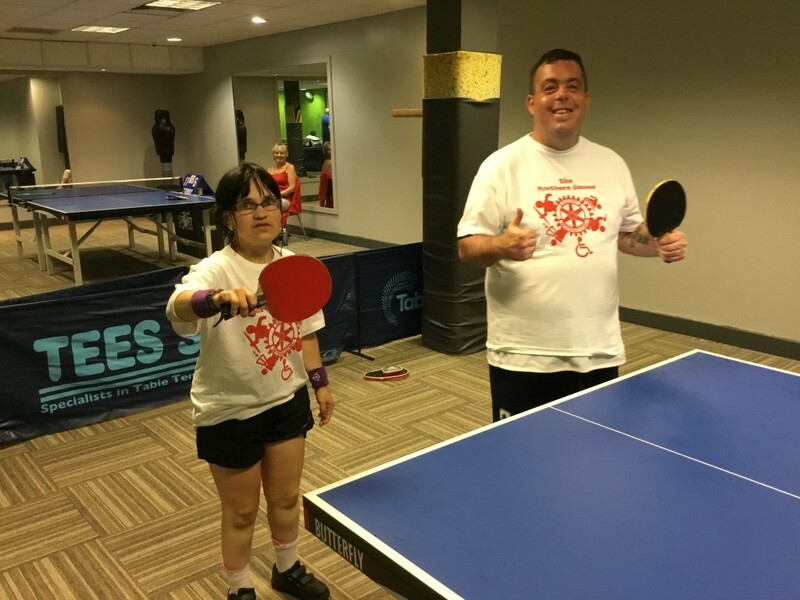 Pamela Lowther and Steven Bowden were both enjoying their games getting in some good practice for when they go to the Special Olympics in August. 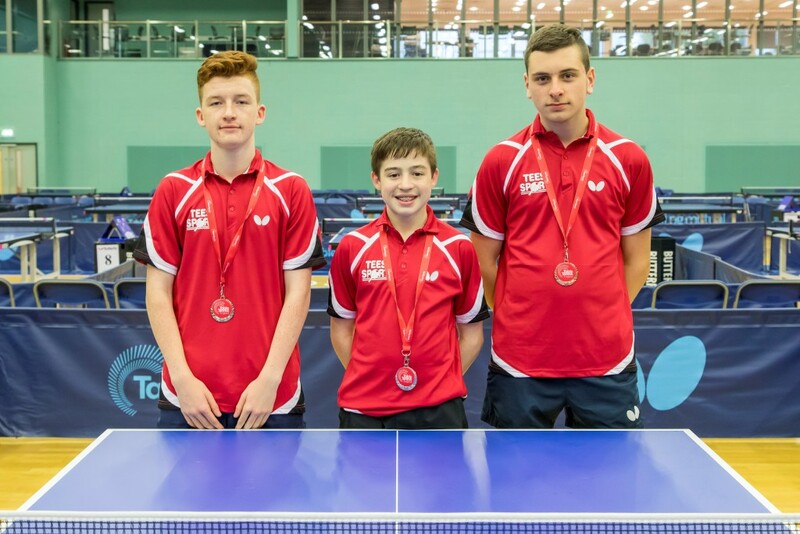 Three Ormesby players, Joe Cope, Thomas Rayner, Ben Piggott, all won medals while representing England in the Butterfly Six Nation International Schools Championship in Worcester last weekend. Joe Cope from the Manor Academy in Hartlepool won 2 silver medals. 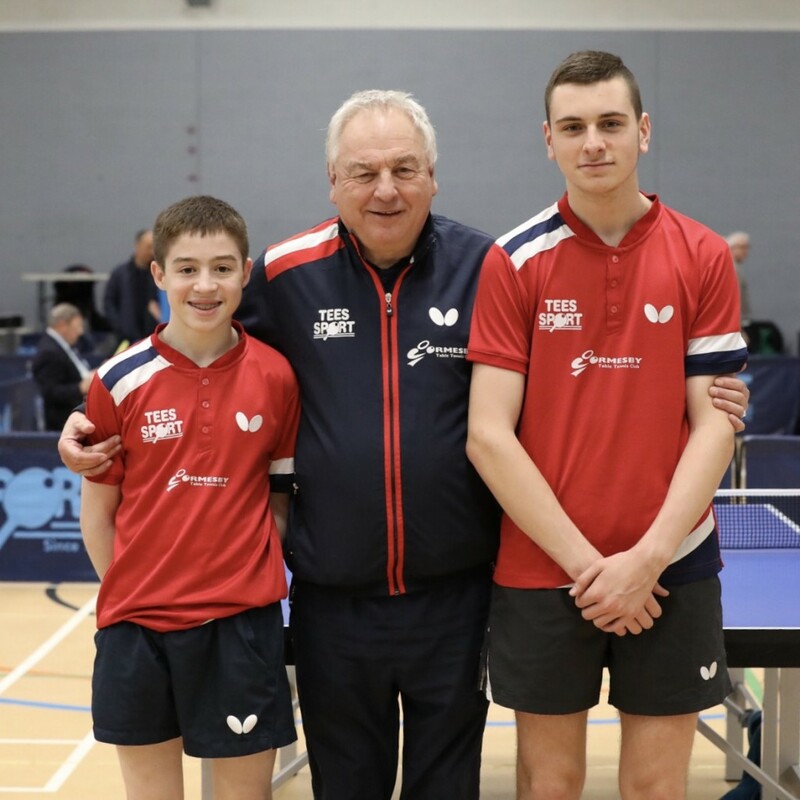 Partnered by Sam Wilson of Northamptonshire and playing for the England B team they reached the final before losing to the England A team by 3 sets to 1. 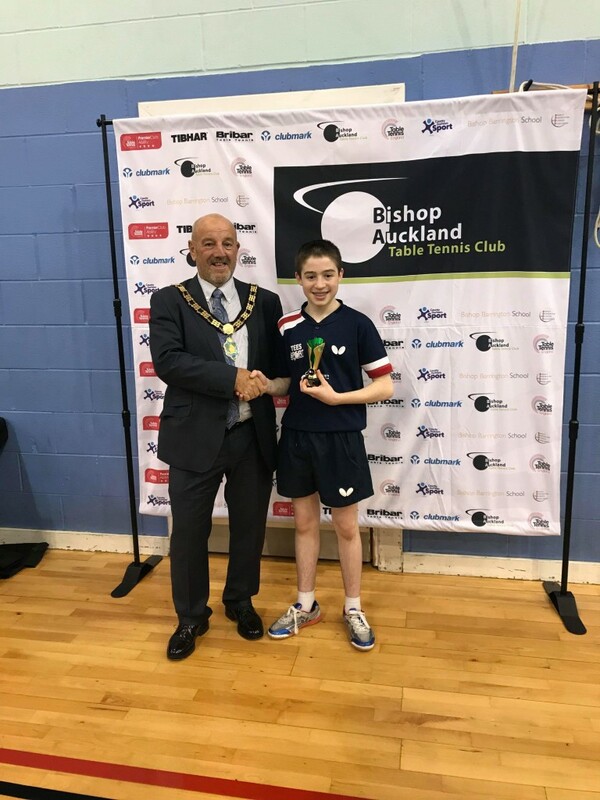 In the singles Intermediate event (Under 16) Cope reached the final for his second silver medal, before losing to Scotland’s Dylan Curry by 3-0. In the semi-final Cope beat another Scottish player, Danny Bajwa. Thomas Rayner from the Longfield Academy in Darlington won the player of the tournament award which was presented to him after participating in what was regarded as the best match of the weekend when he lost to Yorkshire’s Amirul Hussain in the deciding game of the quarter-finals in the Intermediate event. In this match Rayner had a lead of 9-5 in the deciding game. 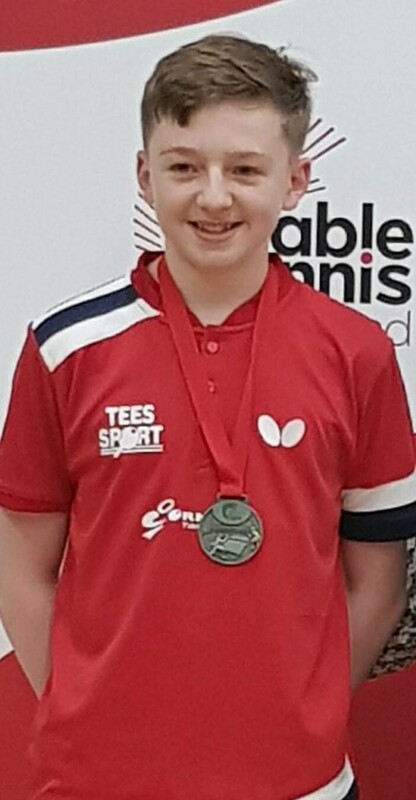 Rayner won his bronze medal in the Intermediate team event playing for the England B team when he was partnered by Sam Chesterman from Cambridge. They were beaten by the England first team by 3-0 in the final. Ben Piggott of Eaglescliffe School won the silver medal in the Cadet Boys team event when he was partnered by Ryan Choong from Lancashire. They lost to the England first team in the final by 3 -1. Piggott won the bronze medal in the Cadet Boys singles reaching the semi-finals before losing to Amirul Hussain in three straight games. England were the most successful team in the competition winning all six team events and three of the six singles competitions.